Dr. Hervé Gentile is a Plastic Surgeon specializing in Cosmetic Surgery of the Face, Nose, Breast & Body Contouring and in Cosmetic Non-Surgical treatments such as Botox, Fillers, external Ultrasound, etc. He offers personalized care and is one of the first triple board-certified plastic surgeons. For the last two decades, his practice has been devoted 100% to Cosmetic Surgery and Cosmetic Medicine. Dr. Hervé Gentile’s interest in plastic surgery matured very early while at the University of Padua Medical School in Italy. The University of Padua is the second oldest medical school in the world and also where the first woman in the world, Elena Cornaro Piscopia, in 1678 was granted a doctorate degree (in Philosophy). The emblem chosen by the American Board of Plastic Surgery is that of Gaspare Tagliacozzi who laid the cornerstone of modern plastic surgery by reconstructing patients noses in nearby Bologna and published in 1597 his treatise “De Curtorum Chirurgia per Insitionem”. He wrote ” We restore, rebuild, and make whole those parts which nature hath given, but which fortune has taken away. Not so much that it may delight the eye, but that it may buoy up the spirit, and help the mind of the afflicted.” This was the first textbook ever written in Plastic Surgery. Dr. Hervé Gentile completed his prerequisite General Surgery and his Ear, Nose and Throat/Head & Neck Surgery residency at the University of Maryland. He then returned to Italy where he obtained further education by completing a US approved Fellowship in Cosmetic and Facial Plastic Surgery with Professor L. Ponti in Rome. 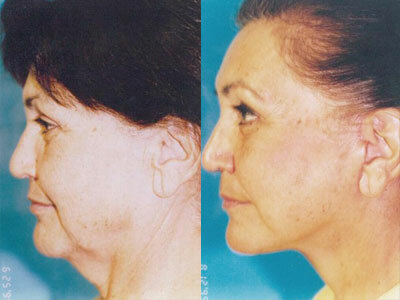 Dr. Ponti was a world renowned Plastic Surgeon and an early pioneer in cosmetic surgery. 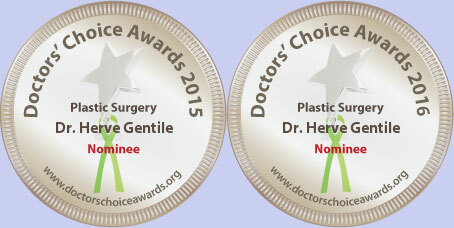 Dr. Hervé Gentile completed a residency in Plastic Surgery at the Medical College of Georgia (MCG). Dr. Hervé Gentile still holds an active teaching position as Clinical Assistant Professor of Surgery (Plastic Surgery) at MCG. The Medical College of Georgia was the founding school of today’s Georgia Health Sciences University. Dr. Hervé Gentile has a genuine love for plastic surgery and all of the arts since his early teens. He was motivated to seek a career in plastic surgery because of his love of art and he considers a privilege to be able to do what he does. In addition, Dr. Gentile is not just one who appreciates paintings and sculptures but one who creates them and is an accomplished painter and sculptor. 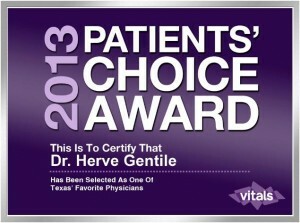 Dr. Hervé Gentile has been consulted and featured on many TV stations, magazines, books, newspapers and radio stations. He has been a speaker on cosmetic surgery at numerous regional, national and international meetings in the US as well as many foreign countries including Europe, Asia and South America. He provides 25+ years of experience to patients in South Texas as well as across the country and internationally. He is recognized as one of the plastic surgeons to be featured in the book “The Beauty Makers” and he was also selected as a contributing expert in the book “BE YOUR BEST – A Comprehensive Guide to Aesthetic Plastic Surgery “. Dr. Hervé Gentile has been named by CASTLE CONNOLLY as one of AMERICA’S TOP DOCTORS in Plastic Surgery, a reference guide (click for the guide) of physicians elected by his peers. He also has received the prestigious honor of being selected by his peers for inclusion in BEST DOCTORS IN AMERICA® in the specialty of Plastic Surgery (subspecialties of Facial Aesthetic Surgery and Body Cosmetic Surgery). Best Doctors in America® was founded in 1989 by doctors at Harvard Medical School to initially provide their families with the best medical care. The only way to be recognized as one of the Best Doctors in America® is for a doctor to earn high marks for clinical ability from his or her peers. This is accomplished by such a rigorous and impartial review where only the top 5% of all doctors in the nation are voted to be included on the Best Doctors list. Dr. Gentile was elected Top Doctor by U.S. News and World Report and also recognized as one of “America’s Top Surgeons” and one of “America’s Top Plastic Surgeons” by the Consumer Research Council of America. Dr. Hervé Gentile also shares his knowledge and expertise with the international community and is a host to visiting young international plastic surgeons. Dr. Hervé Gentile has performed thousands of procedures in his surgical career resulting in enhanced quality of life for his patients. He currently devotes all his practice to cosmetic surgery. Dr. Hervé Gentile for many years has found time to dedicate to the community by performing reconstructive birth defects surgery, especially cleft lip and cleft palate repairs, at Driscoll Children’s Hospital. Dr. Gentile also covered all of South Texas “The Valley” by holding a Plastic Surgery Clinic in McAllen, TX devoting a day each month for the children who could not travel to the Corpus Christi Children’s Plastic Clinic. This has been one of the most satisfying experiences for Dr. Gentile to be able in this way improve the quality of life of children and newborns. Pursuit of optimal cosmetic result, utilizing his artistic eye and expertise. Corpus Christi Plastic Surgeon Hervé Gentile, MD, FACS was one of the first surgeons in the USA to be certified by these three prestigious boards. The American Board of Plastic Surgery (ABPS) was founded in 1937 and is the only one of the 24 specialty boards recognized by the American Board of Medical Specialties which certifies in the full spectrum of the specialty of Plastic Surgery. 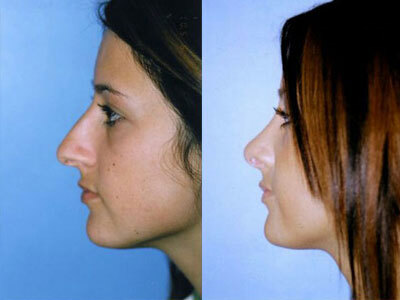 That is plastic, cosmetic and reconstructive surgery of the face, head and neck, trunk and extremities. The mission of the ABPS is to promote safe, ethical, efficacious plastic surgery to the public by maintaining high standards for the education, examination, certification and maintenance of certification of plastic surgeons. The American Board of Facial Plastic and Reconstructive Surgery was founded with the exclusive goal to improve the quality of medical and surgical treatment available to the public in the specialty of facial plastic and reconstructive surgery. The Board examines and reviews the education, qualification, training of each candidate and after a rigorous process which includes an oral and written exam certifies the surgeon in the specialty of facial plastic and reconstructive surgery. The American Board of Otolaryngology/Head and Neck Surgery assures the public that its diplomats via its process of certification that its diplomats have met the professional standards and knowledge in the specialty of Otolaryngology and Head and Neck Surgery. The American College of Surgeons which was founded in 1913 is committed to enabling surgeons to achieve and maintain the highest standards of surgical practice and patient care. American College of Surgeons members are referred to as “Fellows.”, which are the highest ranking members and use the letters FACS after their name. Those letters after a surgeon’s name mean that the surgeon’s education and training, professional qualifications, surgical competence, and ethical conduct have passed a rigorous evaluation, and have been found to be consistent with the high standards established and demanded by the College. The American Society for Aesthetic Plastic Surgery (ASAPS) is the leading professional organization of plastic surgeons certified by the American Board of Plastic Surgery who specialize in cosmetic plastic surgery. To become a member besides certification from the American Board of Plastic Surgery, a plastic surgeon must demonstrate a wide experience by documenting the performance of a significant number and variety of cosmetic surgical cases, must regularly attend continuing medical education courses, must adhere to a code of ethics and be sponsored by two ASAPS-members that ensures that the applicant’s professional reputation meets the high standards required by The Aesthetic Society. The International Society of Aesthetic Plastic Surgery (ISAPS) is the world’s leading professional body for board-certified aesthetic plastic surgeons. ISAPS membership include the world’s best known and respected aesthetic plastic surgeons on every continent reflecting the true international mission of the organization. The ISAPS charter was signed at the United Nations. The Society provides a forum for the interchange of ideas and the latest techniques and treatments. A member surgeon must be well experienced, have dedicated his practice to aesthetic surgery and strive for excellence. Also he has demonstrated commitment to ethical standards and safety. Founded in 193, the American Society of Plastic Surgeons is the largest specialty-specific plastic surgery organization in the world. As such it is a global institution and a leading authority on cosmetic and reconstructive plastic surgery. The mission of ASPS is to advance the quality of care to plastic surgery patients by encouraging high standards of training, ethics, physician practice and research in plastic surgery. The Society is a strong advocate for patient safety and requires its members to operate in accredited surgical facilities that have passed rigorous external review of equipment and staffing. 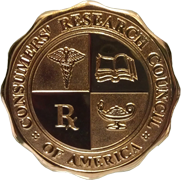 Dr. Gentile was recognized as one of “America’s Top Surgeons and one of America’s Top Plastic Surgeons by the Consumer’ Research Council of America. Dr. Gentile has been elected by his peers as deserving to be included in list of BEST DOCTORS IN AMERICA® from 2009 to present in the specialty of Plastic Surgery with the subspecialties in Facial Plastic Surgery and Body Cosmetic Surgery. Founded in 1989 in Boston by two Harvard Medical School doctors initially to provide their families it has since expanded to help people find the best medical care. The database is the result of the medical profession largest independent survey and research program which includes a peer-to-peer process to nominate only physicians with excellence in their specific field. Best Doctors surveys physicians with specific questions such as “If your family needs a doctor in your specialty…whom would you refer them?”., “Is my diagnosis correct?”, “What kind of treatment do I need?”. Best Doctors is unbiased as doctors cannot pay a fee, are not paid and cannot nominate or vote for themselves. Many corporations such as PepsiCo, EMC Corp. etc. now use their services. 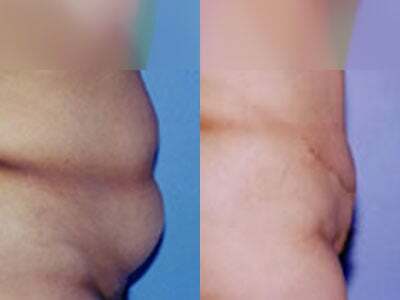 More information can be found at www.BestDoctors.com. The Vitals Patients Choice and Vital Compassionate Doctor award recognizes the top doctors who provide exemplary care. The awards are determined based on the total reviews and ratings collected online from millions of patients and less than 5 percent of all doctors nationwide are awarded. Patients write about their experience and rate their doctor on various factors such as bedside manner, doctor’s time spent with the patient, etc. To identify the winners of the doctor awards Vitals each year analyzes these ratings and other measures such as quality and performance. Even if most doctors receive a lot of positive feedback, only a selected few will meet the criteria for a Vitals Award or Recognition.